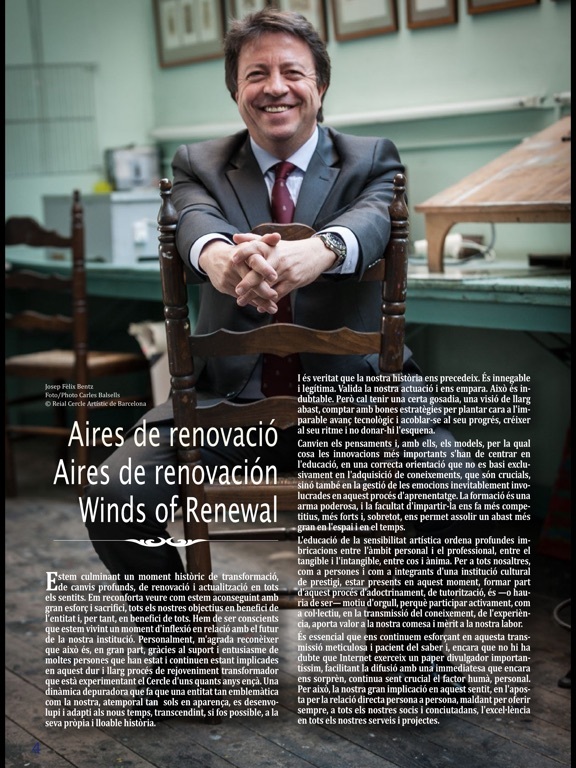 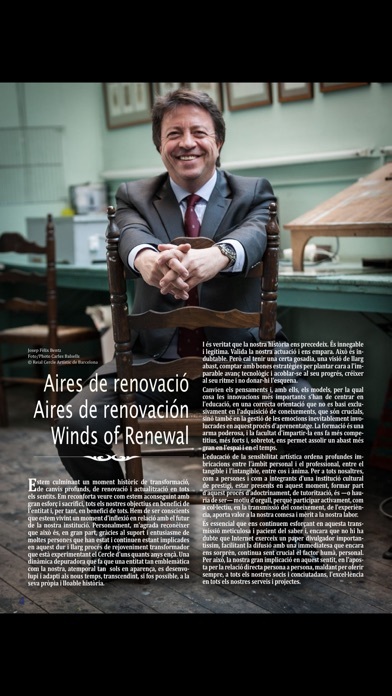 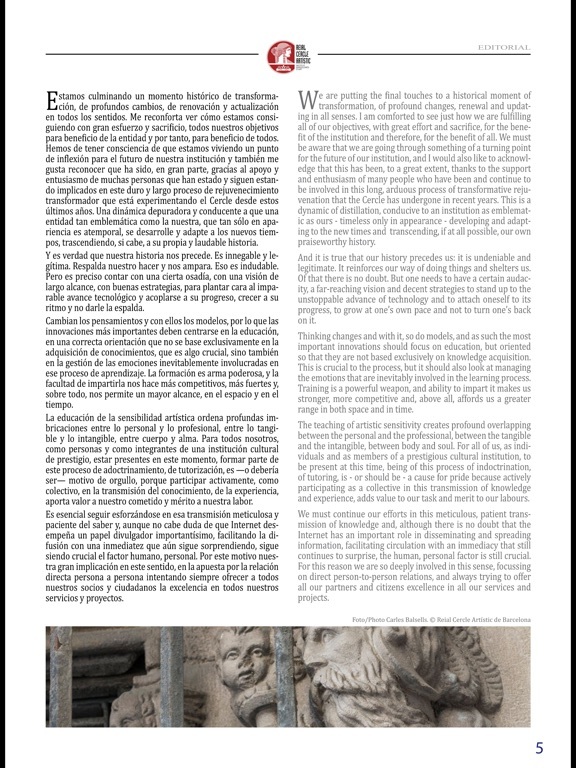 The official magazine of an institution that is a cultural reference point, specially at the vanguard of contemporaneity. 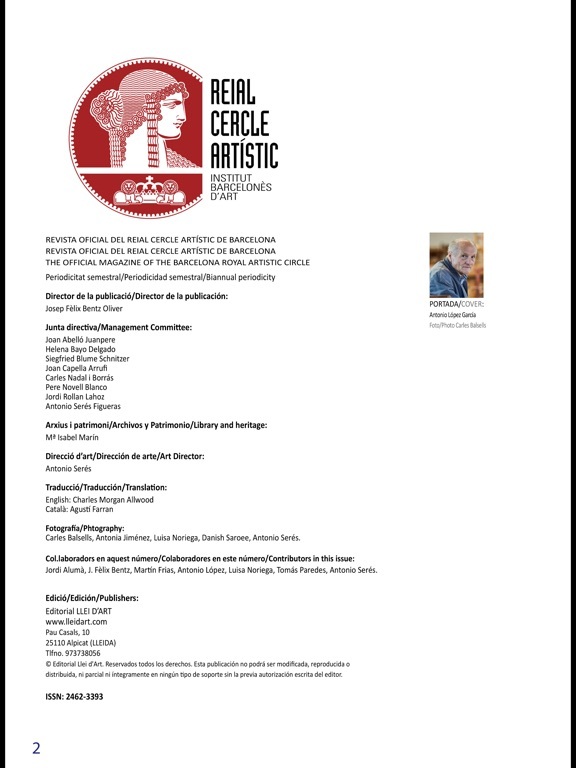 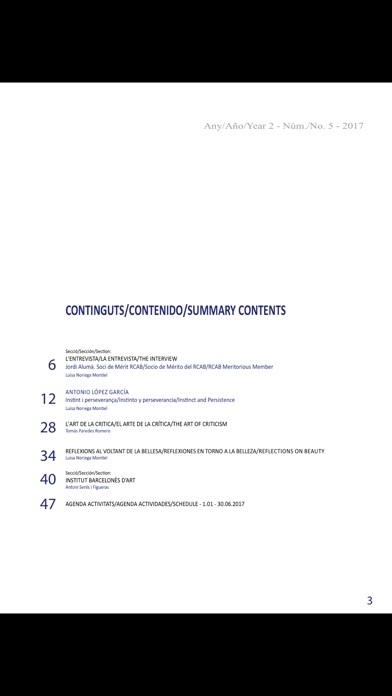 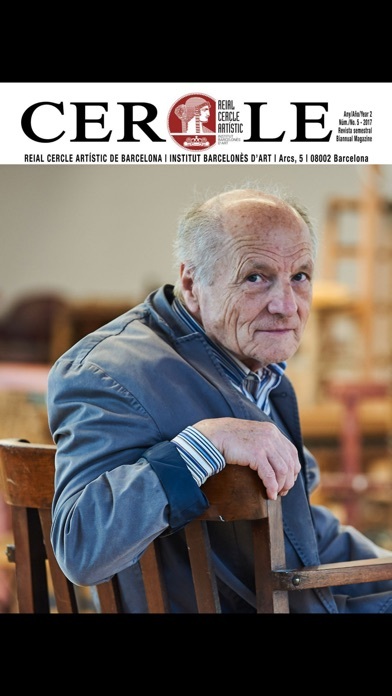 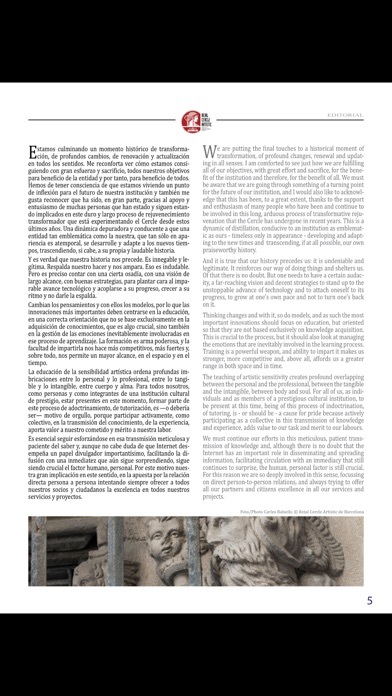 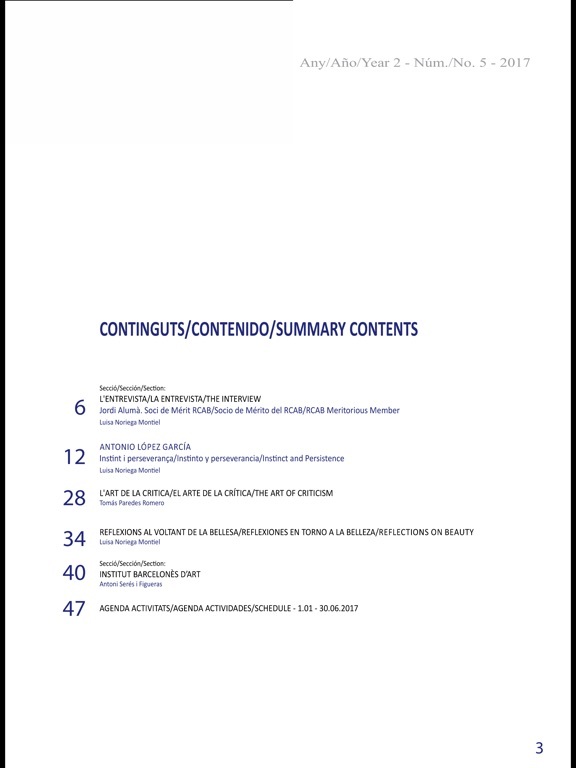 A new digital publication spreading the Institution values and its way of understanding art, both freely and independently, but also respectful of its history and tradition, without abandoning the rigour and professionalism that has always characterised the Barcelona Royal Artistic Circle - Barcelone Institut of Art. 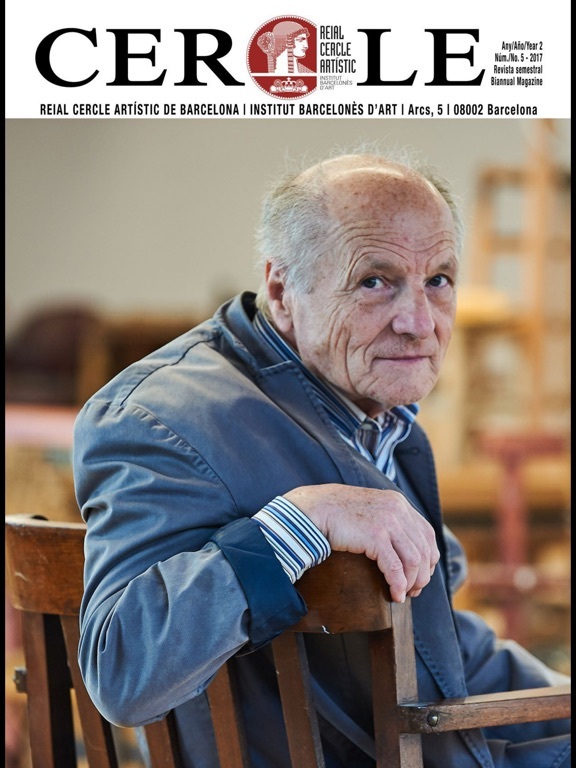 Translated into three languages, presents the reality of an Institution that has worked towards cultural excellence since 1881.